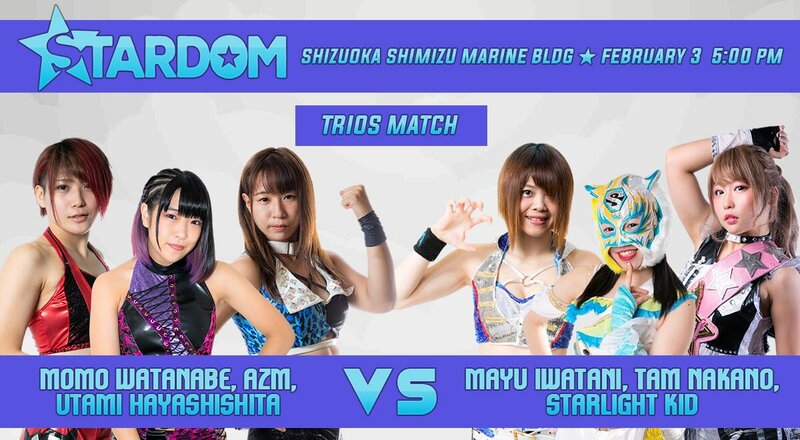 On their final stop before February’s trip to Korakuen Stardom gifted us a trio of singles matches. Wasn’t that nice of them? I guess we should get on with talking about them. As Stardom continued the build to their next Korakuen show, there was intrigue in the air. Who is the mysterious X that Kagetsu has been talking about? I’m going to go out on a limb and say that it’s not going to be the same X that LIJ teased last year. Although, I would love to see Shingo Takagi take his place in the pre-match dance number. Ramblings About has been reviewing Stardom for a little over a month now, so I wanted to use this intro to say how much I am enjoying it so far. Every show has left me with a smile on my face as they have quickly become one of my favourite wrestling companies. If you ain’t watching, you should. This was Stardom’s fourth show of the year and their second to take place on the 5th of January. That’s one hell of a work rate. It’s also served as a perfect introduction to the company for me as I already feel like I’m getting a grip on who everyone is. Now watch as I make some massive mistake during this review.